Diploma or Certificate and minimum 3 years of relevant working experience in steel fabrication. Degree in HR with a min 3 years’ recruitment experience. Degree in Finance/ Accountancy with min 2 years’ relevant experience. Degree Holder with 2 years’ relevant experience in steel fabrication / construction industry. Preferably MAICSA/ ICSA holder, with 3 years related experience in public listed company. MICARE SDN BHD is looking for potential candidates with Insurance/TPA/Broking/Underwriting background to fill up the position in our Account Management department. If you have meet with the requirements or have know any potential candidates, kindly please drop me your resume at nursyafiqah@micaresvc.com or you can reach me here. Attractive remuneration packages awaits you. - Local & Expats are welcomed. - Proven experience in PHP, MySQL, LINUX. Interested applicants, simply submit your CV to janet.ng@elabram.com and/or reach me at +603-8738 2888 (ext 1209) for detailed information. Thanks! Please drop your resume to ruwaidiyyah.nor@nexusmegacarriers.com with position as subject. *Dear connection, you are welcome to share. Thanks! Drop us an email at jobs@123rf.com should you or your connections are interested. JOB VACANCY : MALAYSIAN ONLY. CANDIDATES MUST HAVE BACHELOR DEGREE IN LAW (LLB) or Equivalent. CANDIDATES MUST REGISTER WITH MALAYSIAN BAR COUNSEL). MINIMUM 6 YEARS WORKING EXPERIENCE IN LEGAL PRACTICE. EXPERIENCE IN HANDLING LEGAL CASES. Dear All, we are hiring for the positions below at PJ HQ office! Should you interested to pursue a new opportunity, please contact me for further information. MMHE currently having vacancies for experience Business Development Managers with oil & gas EPCIC project exposure. Only shortlisted candidates will be notified. Thank you for your kind support. Looking out for Senior Network Engineer or Network Specialist. a) Must have good exposures in DMVPN and MPLS. b) Must have either CCIE or CCNA. Kindly contact me shall you keen in this role : chandrasurya.g@softenger.com. COME BE PART OF US! URGENT! Looking for Senior Planning Engineer (C&S) for highway/expressway construction in Malaysia. 1. Candidate must have Degree/Diploma in Civil Engineering. 2. Must have working experience in expressway, bridge and roadworks construction. 3. Must have 4 years working experience in planning engineer disciplines. 4. Open for Malaysian candidate only. My client are currently looking for Plant Manager with 10 years of experience. Working location: Sitiawan and Bukit Beruntung. If you are interested or know anyone that may be interested. 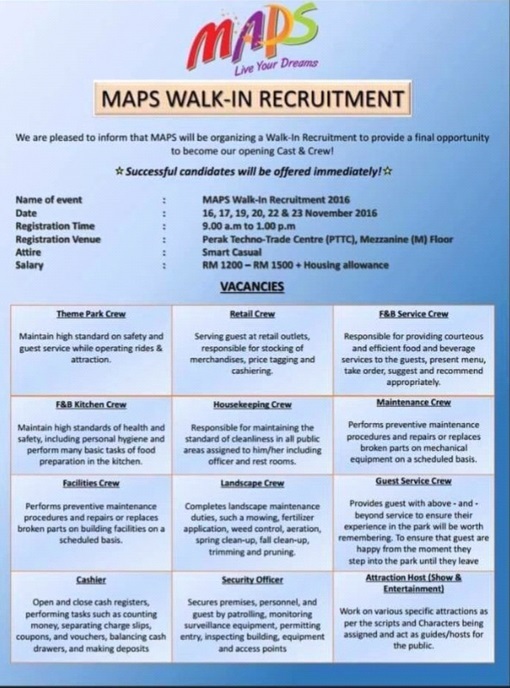 Do apply and submit the resume to me at ariff.ikhwan@mmc.com.my or click for more info & apply online Thank you! Hello! I am looking for an Accounts Executive for 6-12 months contracts. Email me snetto@ogassolutions.com or call me +60 (3) 2166 8633 to discuss further. • CSWIP 3.1/PCN Level 2. • Must have an experience working in the civil field, construction site and inspection work. We are looking for someone who is strong in character, efficient in management and trustworthy in conduct in the following vacancies. 6. Learning and Development Manager. Email your CV to Phoebe.Lim@hays.com.my if interested. Please feel free to give this status a share if you know people who would be suitable. Have a good weekend ahead!! -Someone senior. End to end experience for the procurement. -FPSO, Drilling and Rig exp can be a plus. -Can handle several projects at the same time. 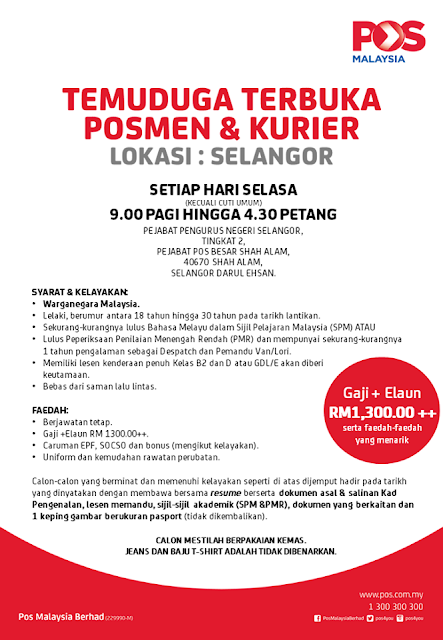 Quantity Surveyors (2 pax) and a Contract Manager is required for Eversendai Constructions Sdn Bhd. Strictly Civil background and experience only. One Contract Executive is required for Eversendai Oil and Gas. ii) Minimum 5 years experience in Managerial Role & relevant field/industries. Candidate who are keen with the position, please forward your cv to jl.chong@shopper360.com.my & we will contact you soon! PAYROLL EXECUTIVE. Anyone interested or have someone to recommend? Please do PM me. URGENT POSITION. PERMANENT. 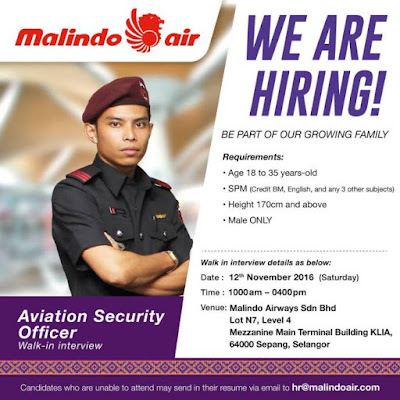 Only looking for MALAYSIAN. Must have experience working in O&G downstream / Petrochemical environment. 2 years contract. location base at Penang/Kuantan/Pengerang/KL. We're looking for an experienced copywriter to be part of our team. Kindly submit your CV at hr@willvintech.com. Any Learning & Development practitioner would like to explore an opportunity with us. Kindly submit your CV to me as per below email. Minimum 4-5 years of experience and exposure in large scale training capacity. POSITION : GROUP HUMAN RESOURCES & ADMINISTRATION MANAGER. LOCATION : BOTANIC KLANG (KLANG/SHAH ALAM). and 2 years experience in Managerial level. Have experience working in Shipping & Logistic Industry. Can start immediately is an advantage. Interested candidates may send me your details/updated resume at arina@executiveworkplace.com this position is open to all races/gender/fresh graduates with positive attitude and mindset is welcome to apply. Thank you. Company: SYS|MCD (SPJ) Joint Venture. Project: Solid Product Jetty (SPJ), Package 12B Tanjung Setapa. Looking for PLANNER / SCHEDULER! ** Good remuneration package and benefits! Requirement : at least 6 years of relevent experience, familiarity with CAD,SAP, lean principles desired. Hi all, I am looking for Project Procurement Manager (Drilling ) 2) -Project Procurement Manager (Tender with Diverse experience ) I need someone with min 10 years of experience. Interested, please drop your CV to my email at rose.ismail@ogassolutions.com or pm me directly. I'm currently recruiting for 2 senior HR positions. If you are driven, determined and, able to read, write and speak Mandarin proficiently, this role is for you. Referral will be much appreciated! Thanks. Is there anyone interested in working as Admin for duration of 6 months?? Kolej Yayasan UEM is looking for two (2) HR Executive. One (1) for ER, IR, work permit, teaching permit. One (1) for Com&Ben and Payroll. Experience 2-4 years. Based in Lembah Beringin. We have jobs opening here at Mutiara Smart Computing. We offer good employment package! - good pay, yearly increment, medical, allowance, training as well as good working colleagues. Please email to hrad@smart.com.my, or call 03-89592581.